CSE Uniserve is proud to announce they have signed an exclusive Australian Distributor Agreement for the Elspec BlackBox G5DFR. The BlackBox G5DFR is a fully featured Digital Fault Recorder embedded with PQZIP technology providing continuous waveform recording makes the BlackBox DFR ideal for monitoring, protecting , operating, power quality, synchro phasors and load profiles. The modular design also allows to expend the system to almost any application in order to offer a cost effective performance. With this agreement, CSE Uniserve shows its clear commitment to support and strengthen the G5DFR presence throughout Australia. 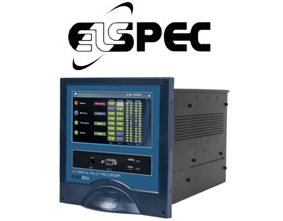 For product information on the Elspec BlackBox G5DFR click here.